You can now stitch Ricoh Theta Z1 Raw DNG photos without Lightroom. PTGui has a new update (version 11.3) that adds a stitching template for the Z1. This makes it possible to stitch Z1 photos in DNG, TIFF, JPG or other supported formats. Ricoh Theta Z1 is a prosumer 360 camera with two 1-inch sensors, which are each more than four times larger than typical 1/2.3-inch sensors used in many consumer (and some professional) 360 cameras. The Z1 can take photos in Raw+JPEG, and Raw files are saved as unstitched DNG photos. Users can then edit the unstitched DNG photos in their preferred editor, which can then be stitched in Lightroom Classic CC via the Ricoh Stitcher plugin. Stitching the photos after editing them generally results in better stitching. However, for those who prefer not to use the subscription-only Lightroom Classic CC, PTGui presents another alternative for stitching the edited photos. Moreover, in my tests, the PTGui-stitched photos had a higher stitched resolution compared to photos stitched by Ricoh Stitcher (but I haven’t completed my analysis on whether the PTGui stitched photos have more detail). Besides DNG, you can also export your edited DNG photos in other formats such as TIFF, PNG, PSD, JPG, OpenEXR (.exr), HDR Radiance (.HDR), which are supported by PTGui. 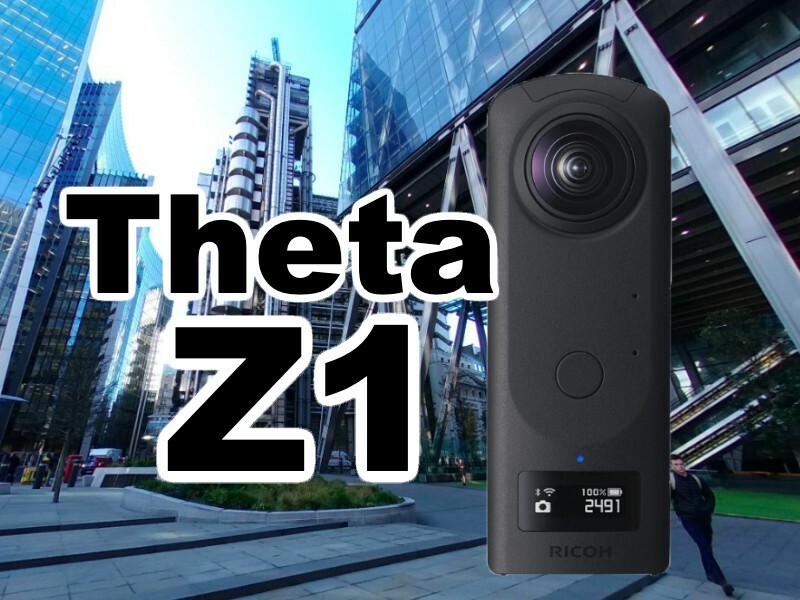 For more information on Ricoh Theta Z1, see here.